THE HARMATTAN (winter season) in my country has really not been good to my hair, it falls when I’m combing, breaks at the tip when moisturizing it. 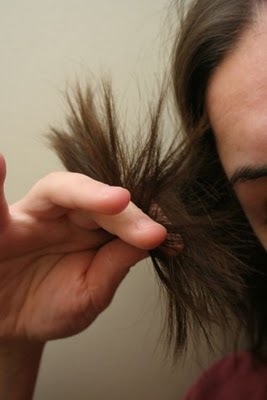 Split end is a common problem faced by all especially when it gets to dry season of the year (harmattan or winter) it’s cold and dry and the moisture both in hair and skin is just sucked out. As you all know beauty treatment be it face, skin, hair, or even make up and dressing should be done according to season requirement. Believe me i understand all the pain, anger attached to split end, it’s falls on your cloth or robe while dressing up and so on. 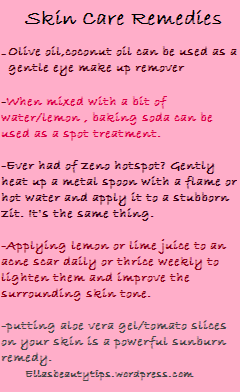 Now, I’m going to share with you some natural homemade treatment for split ends, I will also talk about some things that cause split ends(because believe me not only weather condition that causes it, there are other things we use or do to our hair that is actually causing the harm). – HAIR COLOURING PRODUCT and strong shampoo, also result in moisture loss. No matter how a hair dye claims to be herbal, they still have chemical that stripes the hair of it’s moisture content, only henna (lalee) doesn’t. For shampoo, some are harsh and strips the moisture, so when buying , always opt for a quality shampoos with a balanced hair ph. Level. Lastly weather and pollution, weather which in my own case was the cause of my split end but that is now ancient as i have treated it. Mix well in a blender and apply to hair from root to the damaged tip, leave in 4 to 5 hours or better still overnight, cover with shower cap. Wash off with Luke warm water and condition. Mix well in a blender and apply to hair from root to tip cover with shower cap, leave In for 2hours or longer. Wash off with Luke warm water and condition. Mix well and apply to hair then cover with shower cap. Wash off with Luke warm water and condition. Remove papaya skin and seed and blend with a cup of yoghurt, apply to hair and cover with shower cap for 1hour. Wash off with Luke warm water and condition. Ripe banana can be replaced with papaya. Mix well and warm in a pan and apply on hair for 2hour cover hair with plastic cap. Wash off with Luke warm water. Blend together and apply on hair, cover with shower cap and leave for 2 hours. Wash off and condition. Mix well and apply on hair, cover with shower cap and leave for 1 hour or longer. Wash off with warm water and condition. Hair should be shampooed before applying any treatment to remove dirt and build up. Never wash hair with hot water; instead Luke warm water. Hot water depletes the moisture in the hair. Treatment can be left overnight for better result. 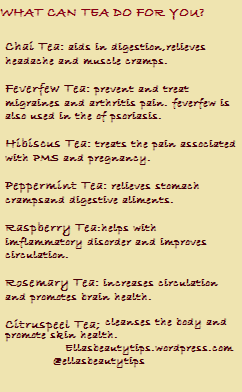 Treatment can customize with essential oil for herbal infusion. Quantity of the treatment should be according to your hair length and volume. Shower cap or plastic bag to cover hair to heat and hold hair in place (I use a black plastic bag because black is a conductor of heat. Always trim your hair least once in two months. 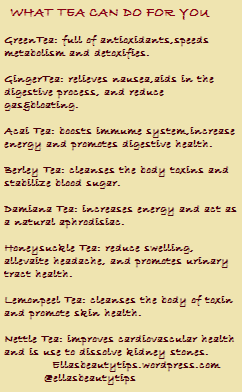 Hope you find these remedies useful. If you have other remedy (ies) that you know, please do share them with us via the comment section. You can also send your comments or suggestions by tweeting at me @Ellasbeautytips and at my Facebook page (ellasbeautytips). Posted on January 15, 2014, in Hair care and tagged hair care, natural beauty, natural treatment for split ends, Split ends. Bookmark the permalink. Leave a comment.